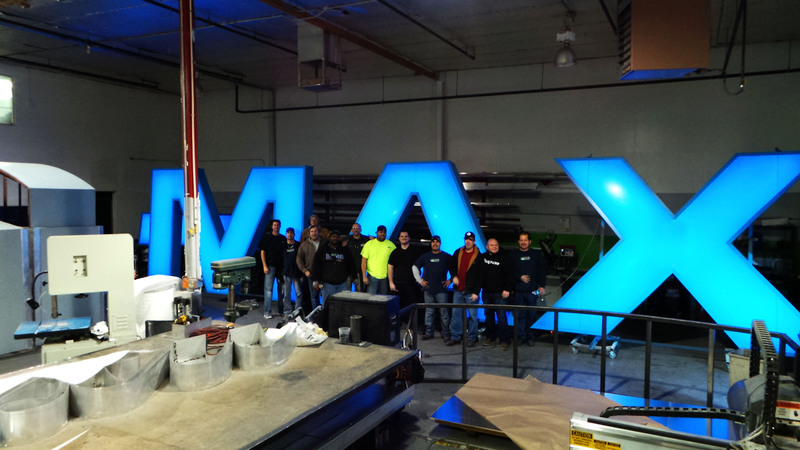 Patrick’s Signs made the Sparks, Nevada local news yesterday showcasing our custom electric signs designed, fabricated and installed for Galaxy Luxury+. Check out Nick, our sign installer, as he guides our crane operator in the install of 9′ tall IMAX letters for the exterior of the building. Thank you again for all of your support!